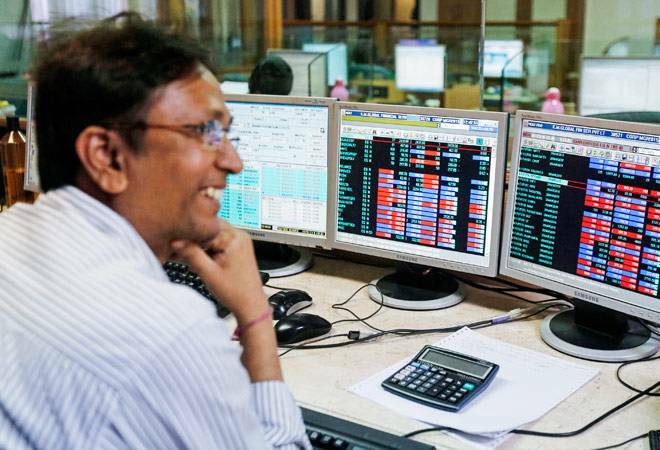 As MRF, the most expensive stock on Dalal Street, crossed the psychological barrier of Rs 50,000 on Thursday, it is time to revisit other such stocks. MRF: Tyre manufacturer MRF, the most expensive stock on Dalal Street, recently surged past its key psychological level of Rs 50,000 apiece thanks to rising demand for tyres amid lower rubber prices. The stock of the company gained 16 per cent in the last one year. Rating agency India Ratings and Research (Ind-Ra) expects the overall tyre volumes (in numbers) to grow around 7 per cent in the FY17 due to a steady demand from original equipment manufacturers (OEMs) and an improvement in replacement demand. Eicher Motors: Shares of Eicher Motors hit its fresh 52-week of Rs 26,601.95 in Thursday's trade and has risen nearly 40 per cent in the last one year. The company featured among three Indian firms that made their debut in this year's Forbes Asia's Fab 50. In August, Eicher Motors outperformed the industry with a growth of 14 per cent year-on-year. Bosch: Shares of Bosch gained nearly 17 per cent to Rs 22707.60 in the last one year on Dalal Street. The Bengaluru-based firm is a leading supplier of technology and services in the areas of mobility solutions, industry, consumer goods as well as energy. The Bosch group operates in India through nine companies. It has 14 manufacturing sites and seven development and application centers in the country. Shree Cement: Cement firm Shree Cement touched its fresh 52-week high of Rs 18,100.00 early in September and has added 44 per cent in the last one year. Brokerage ICICI Securities is bullish on the stock and has suggested to buy the scrip on any correction in stock price on seasonal weakness. Page Industries: Bengaluru-based Page Industries is the exclusive licensee of Jockey International Inc for manufacture and distribution of the Jockey brand innerwear and leisurewear in India, Sri Lanka, Bangladesh, Nepal and UAE. The stock of the company rose 13 per cent in the last one year and hit its fresh 52-week high of Rs 15,568.80 in today's session. The company reported 8 per cent increase in its net profit to Rs 68 crore in the June quarter of fiscal year 2017. 3M India: On its website, 3M India explains itself as a global technology company delivering innovative solutions to life's everyday needs. The stock of the company has gained over 17 per cent in the last one year. It had hit its 52-week high of Rs 15,200.00 in June 2016, but has pared gains to trade around Rs 12,800. Honeywell Automation India: Stock of automation and software solutions provider Honeywell Automation India crossed its psychological barrier of Rs 10,000-mark back in May 2016, but has pared gains to trade around Rs 9100 on the BSE. The stock lost nearly 2 per cent in the last one year. In August, the company appointed Ashish Gaikwad as its managing director effective October 1, 2016. Polson: The stock of specialty chemicals maker Polson has advanced over 21 per cent in the last one year. It hit its fresh 52-week of Rs 8,966.15 in June 2016, but has fallen up to Rs 6850 as of Friday's trade. Procter & Gamble Hygiene & Health Care: Procter & Gamble recently hogged headlines when its Global Chief Executive Officer and President David S Taylor met Prime Minister Narendra Modi on Tuesday to discuss the company's Make in India initiatives as well as partnering with the government's key initiatives such as Swachh Bharat and Skill India. The stock is one of the best defensive players and has added 7 per cent in the last one year. Nestle India: Nestle India is yet to recover from the Maggi mess it suffered in 2015, when it had to recall its instant noodle brand Maggi. During the April-June period, the company reported a net profit of Rs 230.84 crore, missing the Street's estimate. The stock of the company has also remained just flat in the last one year.